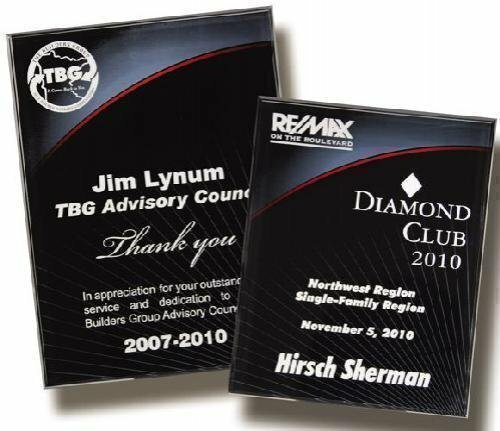 Acrylic Plaques are a beautiful alternative to wooden plaques. 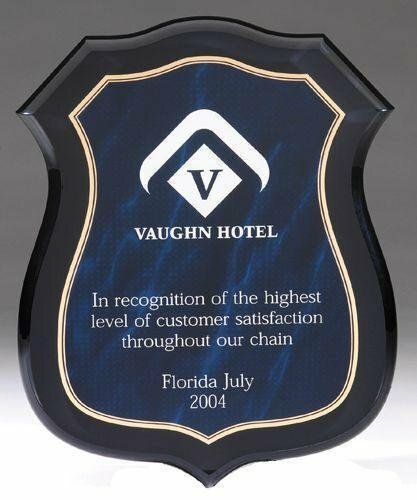 An acrylic plaque normally has a unique plaque design imprinted on the back. 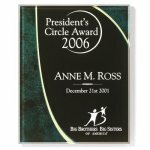 The acrylic award is laser engraved on the back creating an elegant frosted appearance. 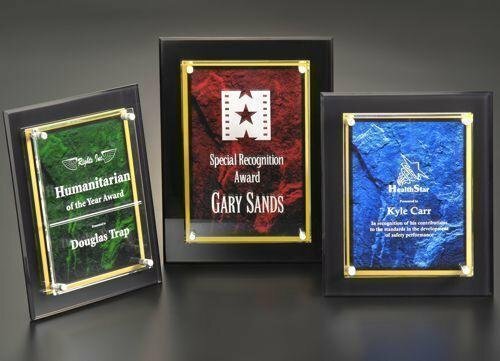 We are pleased to provide a large selection of the best acrylic plaques available today with new new modern designs. The Badge Acrylic Plaque Blue makes an excellent business award. This acrylic award is laser engraved creating a uniquely beautiful award. 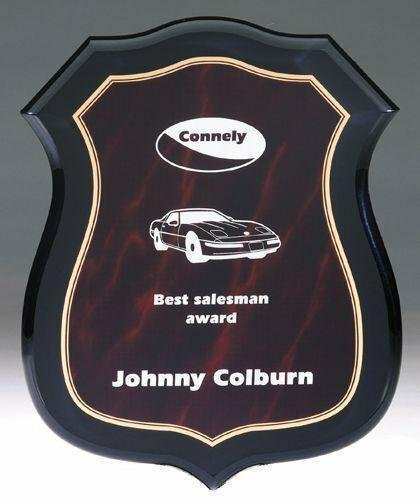 The Badge Acrylic Plaque Red makes an excellent business award. This acrylic award is laser engraved creating a uniquely beautiful award. The Canyon Blue Acrylic Plaque makes an excellent business award. This acrylic award is laser engraved creating a uniquely beautiful award. The Chairmans Acrylic Plaque makes an excellent business award. This acrylic award is laser engraved through the black, blue and red design on the back of the award. 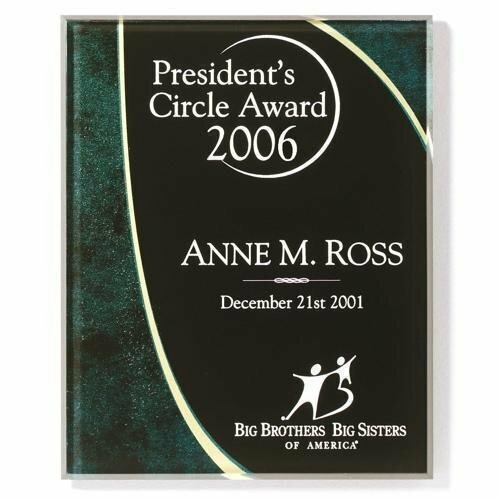 The Gold Reflections Acrylic Plaque makes an excellent business award. This acrylic award is laser engraved creating a uniquely beautiful award. 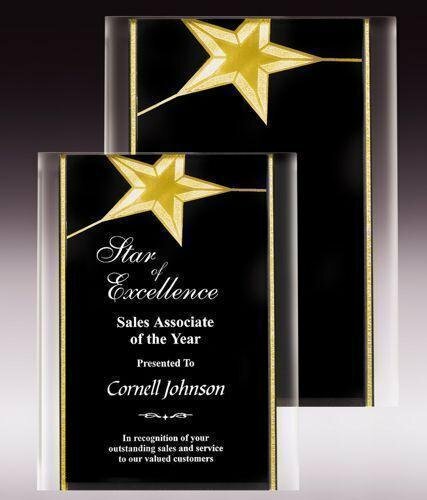 The Gold Star Acrylic Plaque makes an excellent business award. This acrylic award is laser engraved creating a uniquely beautiful award. The Golf Acrylic Plaque makes an excellent golf award. This golf trophy comes with a colorful edge and imprinted golf club and ball. 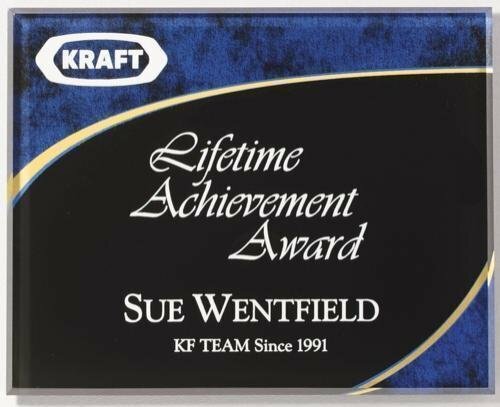 The Horizon Blue Sapphire Acrylic Plaque is laser engraved on the back giving the engraving a depth and elegant appearance. Blue Sapphire - 8" x 10"
Blue Sapphire - 9" x 12"
The Horizon Burgandy Acrylic Plaque is laser engraved on the back giving the engraving a depth and elegant appearance. 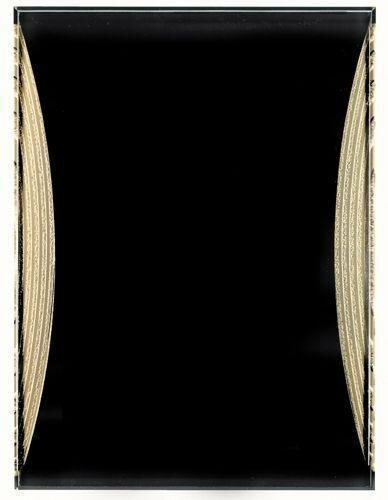 Burgandy - 8" x 10"
Burgandy - 9" x 12"
The horizon acrylic plaque is laser engraved on the back giving the engraving a depth and elegant appearance. Emerald Green - 8" x 10"
Emerald Green - 9" x 12"